20th ANNIVERSARY EDITION!!! EXTRA CD with BONUS LIVE TRACKS!! Arena‘s 3rd album originally released in 1998. 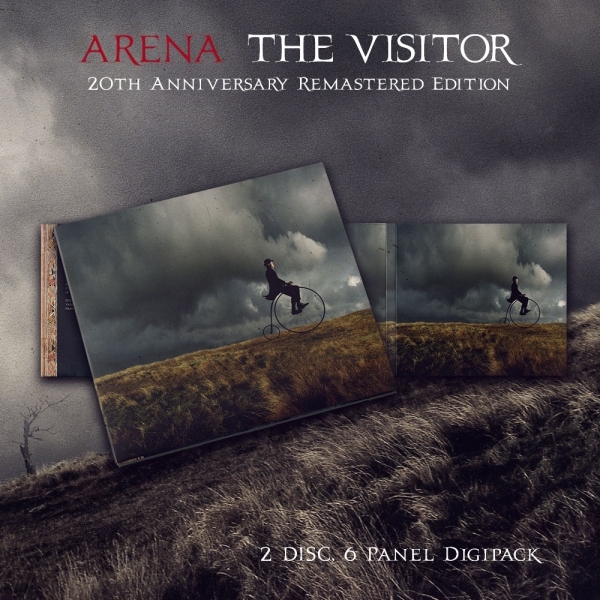 This re-mastered version of The Visitor has been done by JOHN MITCHELL, Arena‘s Guitarist (IT BITES member & producer of ENTER SHIKARI, YOU ME AT SIX, LOWER THAN ATLANTIS, ARCHITECTS, KIDS IN GLASS HOUSES, FUNERAL FOR A FRIEND etc.) in his own Outhouse studio from the original master tapes from Abbey Road Studios. Bonus Live CD features recordings from the original 1998 tour and demo/acoustic recordings made in radio studios for broadcast. Live At Real World 2CD + DVD Ltd. Edt.